Legendary singer/songwriter Al Green pulls no punches in this exclusive interview with Bayer Mack. The good reverend is back with his new album, Everything's Okay, and recently spent a few minutes talking with us. In addition to the new release, Green discusses his role as the "preacher of the Hip-Hop generation," making babies, and his return to secular recording. MVRemix: What made you originally want to make that transition back into secular music? Al Green: You’re worried about what’s secular and what ain’t secular and what’s gospel and what ain’t gospel. On ‘Love and Happiness,’ I said be good to me and I’ll be good to you, and we’ll see each other walk away with victory. Now whatever you want to think about that, I’m gonna let you do that. That’s not my business. I’m doing what God told me to do. He said sing it. Al Green: And that’s what I’m doing. MVRemix: Lots of people have too much tradition and not enough substance. Al Green: They forgot they got here some kind of way, and it wasn’t reading the Bible. Al Green: I think that’s good. I heard the [song] ‘Prayer’ by R. Kelly. The only thing they are doing is picking up on their roots and where they come from. MVRemix: Why did you name the new album Everything’s OK? 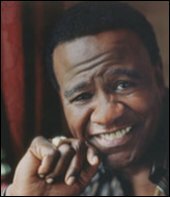 Al Green: Everything’s OK, because in America some of our people go through so much hell, torment, and misunderstandings. Everything’s revolving [around] sort of gang related stuff. I’m saying Everything’s OK. Only thing you gotta do is work it out, only thing you gotta do is try. MVRemix: Do you think so-called “gangsta rap” focuses more on problems than solutions? Al Green: Yeah, it’s sad. You know we… and [other] people done made it across the Atlantic [Ocean] on the [slave] boat. It takes the strong to survive, making that trip across, packed in there like sardine. Then you have to stand up for three months in squalor, in urine and everything else. Only the strong survived [and] made that trip. Everybody’s gone through it -- Jews gone through it, the Negroes gone through it. The people in Iraq gone through it. Everybody’s gone through it, so I really don’t take it to heart when black people start talking about how hard they had to do this. I’m black and I had it hard too. I picked cotton, chopped cotton and everything else, but I still ain’t gonna let it get me down. Al Green: I’m gonna keep on truckin’. Al Green: I’m standing in front of the store looking at this woman walk back to her car. Now she got everything shaking. MVRemix: Are you in New York? Al Green: Naw, I’m not in New York, I’m in Memphis, Tennessee baby. MVRemix: Your classics, like “Love and Happiness” and “Let’s Stay Together,” are staples in the streets. What does the new album have for people who love that old Al Green sound? Al Green: Good flow, that’s what we’re doing. Al can’t do no more than what Al can do. Al Green: Al is doing Al. Alicia Keys, she’s doing good. Tamia, she’s doing good. Destiny’s Child, all of them doing good. It’s just that when you get down to the stomp stomp and you really gonna do some bump bump, you gonna need the reverend -- and he’s going to bring the thing on home. I am the minister of the Hip-Hop, R&B era. I’m the preacher you [write about] and there’s no other preacher out here like the Rev. Al Green. I’m still down with the Hip-Hop – RUN DMC and some other guys. I sat down with Snoop Dogg and he was like what’s up Reverend Al! I am the preacher for this generation and these are our children that’s doing this music. There’s no sense in jumpin’ up and down saying how bad it is or how good it is because they are our kids and we the one’s that taught ‘em. It ain’t no sense is us saying, ‘Well, oh it’s just terrible.’ If it is, you pointing the finger at yourself and at what you did. MVRemix: For the time that you were just specifically focusing on gospel music, there were reports of people trying to sneak into your service with tape recorders. MVRemix: So what do you do? Pat them down? How do you stop somebody from sneaking in service on Sunday morning and capturing a live performance from Al Green? Al Green: If God give me a gift, can’t nobody take it. If God take it, can’t nobody get it back. MVRemix: What do you say to people who might have a problem with you doing secular music? Al Green: They got here some kind of way. They mama and daddy wasn’t reading the Bible [at the time]. MVRemix: What prompted you to stop singing secular music at the peak of your career? MVRemix: It’s something they can relate to. Al Green: I drew the picture for you to relate to it, but there is a deeper meaning behind the thing. MVRemix: Do you think most people miss the meaning? MVRemix: No problem. Have you ever considered doing something with a Hip-Hop artist? Al Green: Absolutely… I love it. I mean we planned it on the next album we’re writing now. We gonna have some other people on the album that share. MVRemix: Rev. Al, this has been a sincere pleasure and honor talking to you today, sir. Al Green: Bless my pasture. Man you keep on keeping on. MVRemix: I can’t wait to get to Memphis. Maybe I’ll sneak in and catch one of your services. "I am the minister of the Hip-Hop, R&B era. I’m the preacher you [write about] and there’s no other preacher out here like the Rev. Al Green."